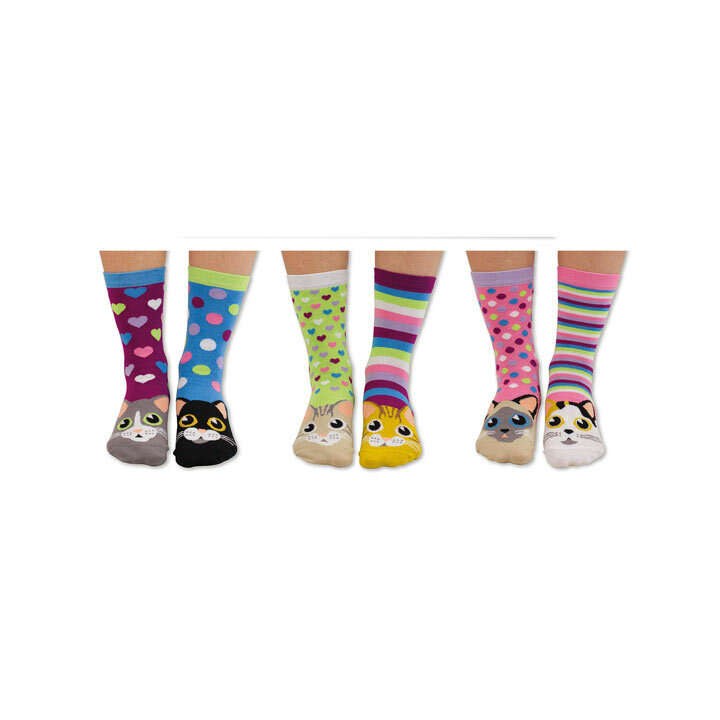 Six socks to mix and mis-match, creates 15 different combinations! Ladies size 4-8. 79% cotton, 20% polyamide, 1% elastane.